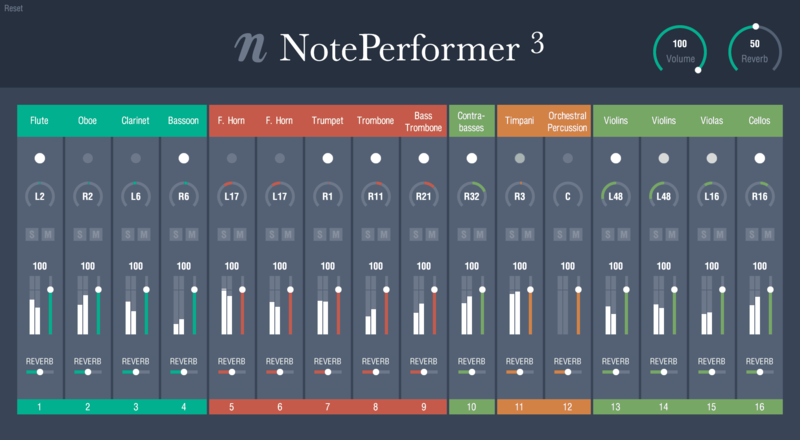 We recommend making NotePerformer your default playback template from Dorico's Preferences. 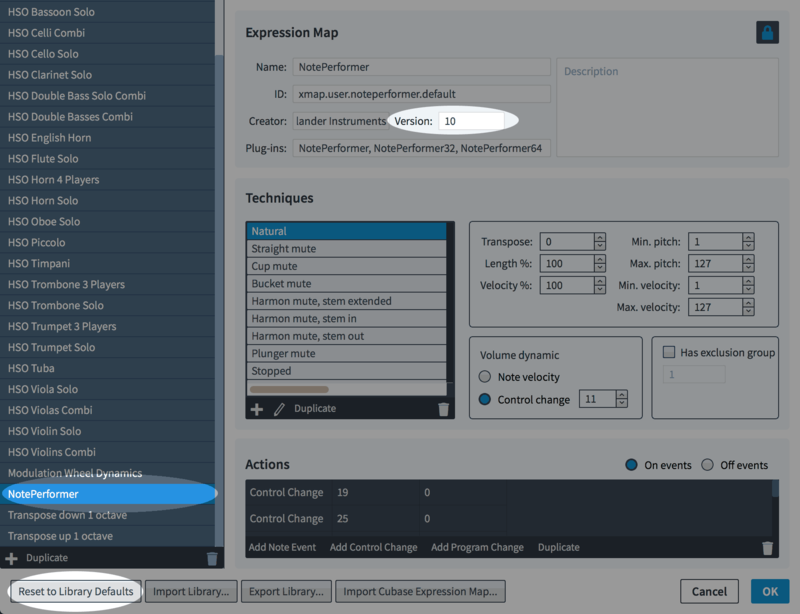 Instruments and Expression Maps are automatically assigned from our Playback Template. 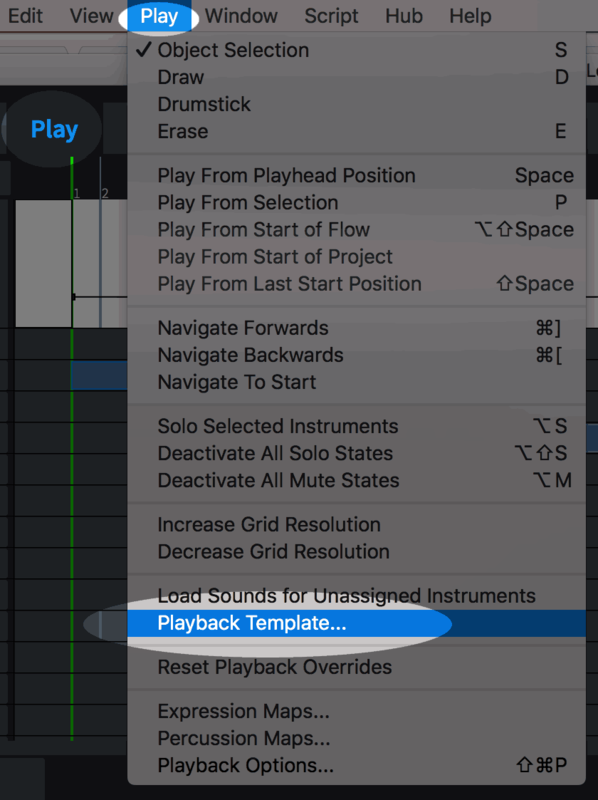 Playback Templates is a Dorico 2 feature. Opening the NotePerformer interface from Dorico reveals our own high-resolution mixer. You should use the factory settings for note lengths when running NotePerformer in Dorico. Changing these settings may result in playback issues, such as gaps between legato notes or articulations not being identified correctly. 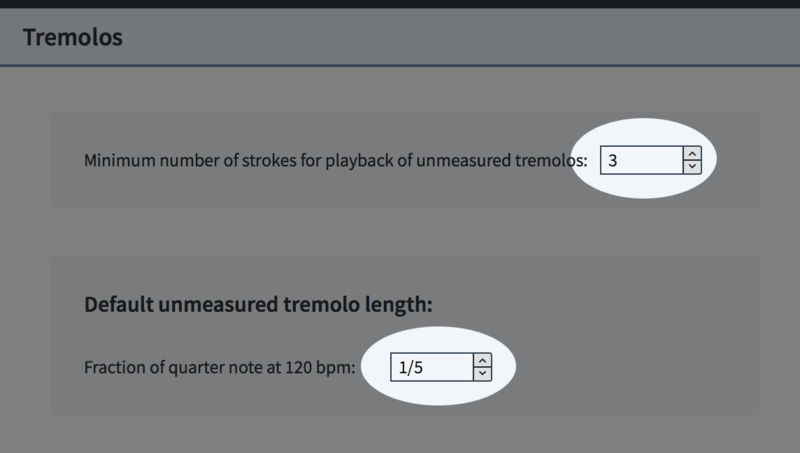 You may want to increase the unmeasured tremolo speed in Dorico, from the Playback Options dialog. We recommend a setting of 1/8, which is slightly faster than the default setting of 1/5. A slower tremolo speed may produce a measured tremolo rather than an unmeasured tremolo, with NotePerformer. 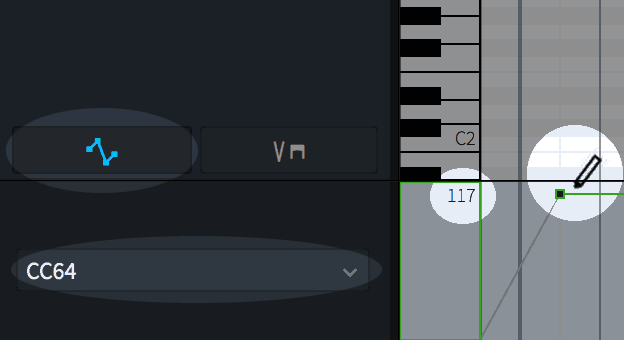 In Dorico, you manually enter MIDI controller values in Play mode by expanding the Automation lane for a track. Please select the appropriate controller, e.g. "CC103", and draw the value into the lane using the pencil tool. For more information on how to use MIDI controllers in Dorico, please consult the Dorico Operation Manual. 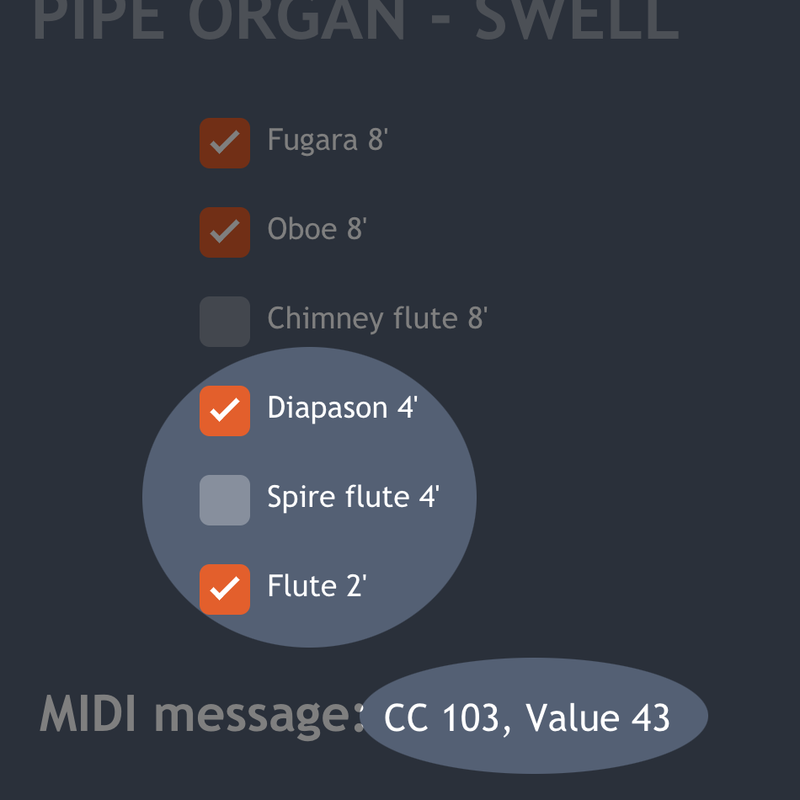 For reference, you may add custom MIDI CC events in Dorico, from Play mode. This is done via the automation lane for each staff. In the case that playback and sound assignment isn't working at all, Dorico's sound driver may have stalled. Please review your Audio Device Setup, in Dorico's Preferences. Try temporarily switching to another ASIO driver, and back, to reset the sound driver in Dorico. Or alternatively, you may switch to a different Sample Rate, and back. For multi-articulation support, you need at least version 12 of our expression map. Please note that any scores saved with a prior version of NotePerformer will still have the older expression map, because Dorico only updates a score's expression maps when you explicitly ask it to do so. 1. Open the Play > Expression Maps... dialog. 2. Locate the "NotePerformer" expression map and select it. 3. Click "Reset to Library Defaults". 4. Make sure the expression map's version now says "12" (or higher). 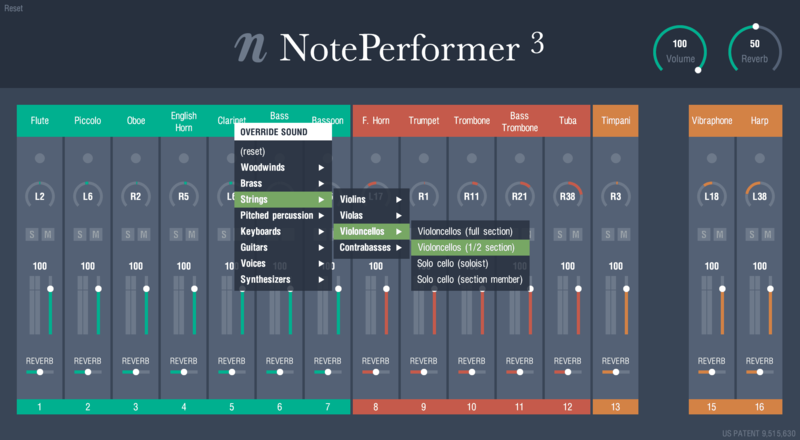 Multiple articulations at the same time is only possible with NotePerformer 3.2 or higher. Additionally, if you open a document saved with an older version of NotePerformer, you must make sure that your document’s NotePerformer expression map is at least version 12. Please see our support article on how to update your document’s expression maps in Dorico. Unison notes are performed solo, even when using different voices. This is the expected behavior in Dorico. We hope to see a workaround to this in a future version of Dorico. Dorico may collapse grand staves to a single staff in playback. 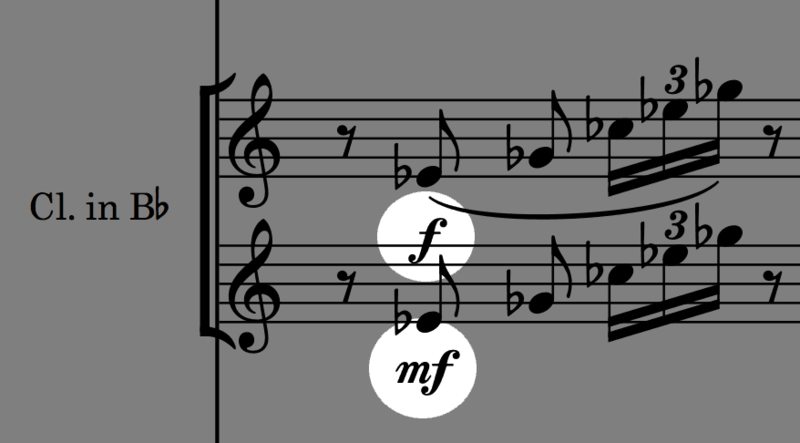 If a single Layout &rtrif; Solo Player is assigned to multiple staves in Dorico, these staves share a common MIDI channel. What this means is, all articulations unavoidably spill over to the other staves in playback—including dynamics. 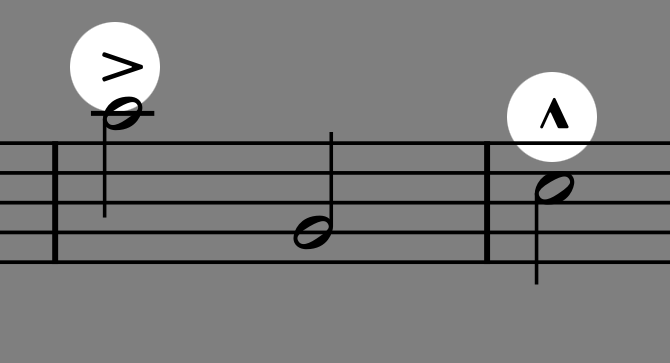 Identically pitched notes are also collapsed into a single solo note. If you want to maintain staff separation in playback, the rule is to use different Solo Players in Dorico. Dynamics within a bar may be inconsistent. It happens because Dorico defaults to using beat stress, on a scale equivalent to two dynamic levels (e.g. mf becomes ff for stressed notes). And also because Dorico humanizes dynamics by 50%. Accents and marcato may be very loud. There may be gaps of silence between subsequent slashed notes. This is a known bug/behavior. Instead of shortening the individual notes in the tremolo by 85% (default note shortening) Dorico performs a tremolo only for 85% of the note's written length.